There's nothing like the beach in September. I can't believe September is over! This school year is off to a great start. I've been really busy with mentoring a new teacher, serving on committees, and getting ready to write new curricula. My classes are great this year, especially my advanced literacy course. I am so thankful that I have the opportunity to talk about books with kids since independent reading is a part of the literary curriculum. It's a perfect fit for me. Even though summer is over, I was able to go to the beach over Labor Day weekend and a few weekends ago for my cousin's wedding. It was so nice to be back down there. I hope to go again before fall turns into winter! Boo! I am ready for October and to continue to marinate in my love for all things pumpkin! 1) Favorite Book: I'd say it's a tie between A Tree Grows in Brooklyn and The Lady of the Rivers. I enjoyed both immensely. 2) Biggest Surprise: The Future of Us was a brilliant read. Seriously. I enjoyed it way more than I thought I would. It made me think. 3) Biggest Letdown: Girl Wonder really left me flat and Bloodlines, although entertaining, was a bit disappointing, because I'm not really feeling Sydney as the main character. I'm sure the series will pick up though. 4) Favorite Part: My favorite part of September would have to be my trips to the beach. The weather is still nice and there's no crowds. Perfection. 5) Favorite Post: New Books for My Classroom Library - I love sharing new books with my students, thanks to the PTO! I'm not looking forward to winter. If fall was longer than winter...I would be much happier. 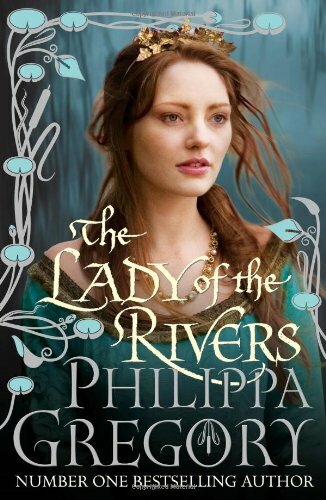 I'm glad to see that you really enjoyed The Philippa Gregory books. I'll be reading them soon. Great month. I too am looking forward to October too. i'm glad you had a great start to the school year!! I still can't believe it's already October...September just flew by!